First time in Iquique? Unveil the charms of Chile’s surf hotspot on this 4-hour city sightseeing tour, including hotel pick-up. Enjoy sweeping coastal views as you follow the seafront promenade; take in historic landmarks like Astoreca Palace and the Municipal Theater; and admire the 19th-century architecture of lively Plaza Prat. 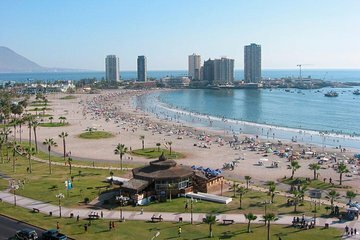 Finish by touring the Iquique Museum and browsing the shops in the huge ZOFRI shopping mall. Tours ends at your hotel or accommodation.